First 30 minutes or part thereof – US$ 10, 000. Next 30 minutes or part thereof – US$ 6, 000. Every additional 30 minutes or part thereof – US$ 3, 000. In addition a security deposit of US$ 5, 000 must be deposited with the Tourism Authority of Bhutan. 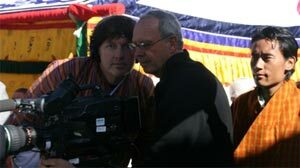 This deposit will be refunded upon completion of the film to the satisfaction of the Tourism Authority of Bhutan.